Climbing the staircase to Hagbourne Hill, with rock terrace looking down from above. For the last year I’ve been writing here about my explorations in Franklin Park in Boston, Frederick Law Olmsted’s last — and often considered his greatest — urban park project. 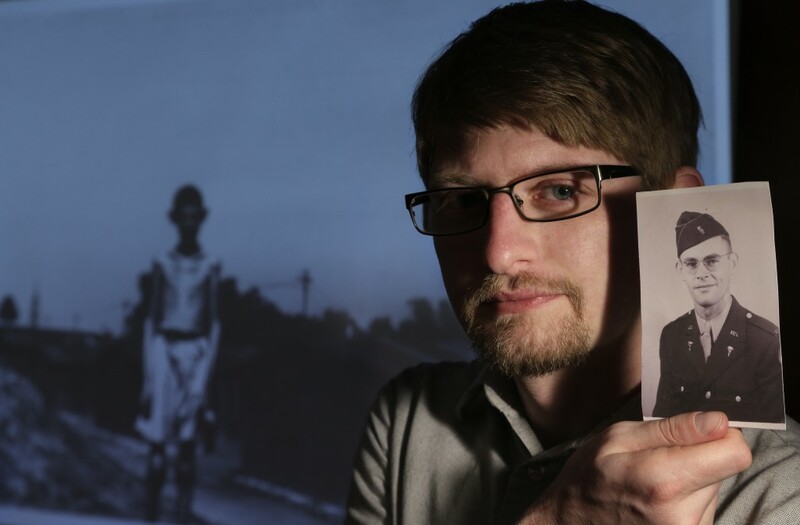 I walk through the Park nearly every day, and I started writing about the bits of history I found because they were interesting, because they were nearby, and because they were a reprieve from the intensely heavy topic of my documentary film. Doing these blog posts has provided me with a love for Olmsted history, some in-depth understanding of the evolution of the Park, and a collection of photos and maps… yet, for all that, this has never been more than a pet project. 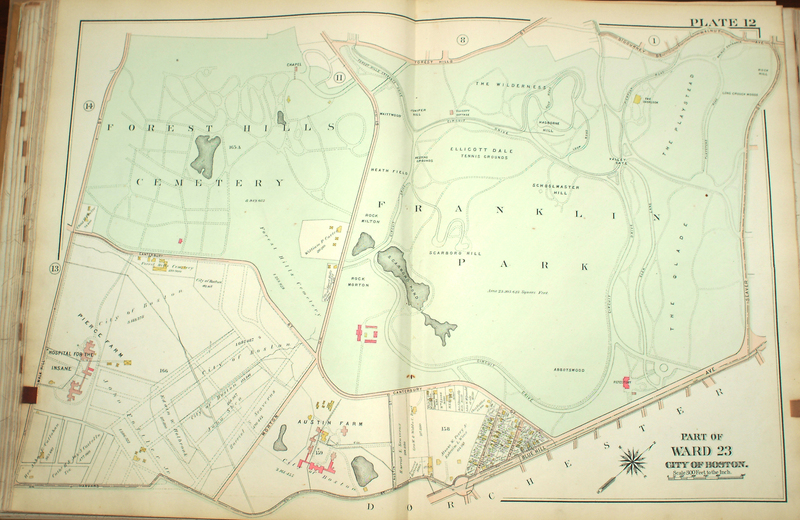 A map of Franklin Park from 1899 showing the quarry site mentioned in the letter. Later maps show a building near the quarry, as described by Olmsted. 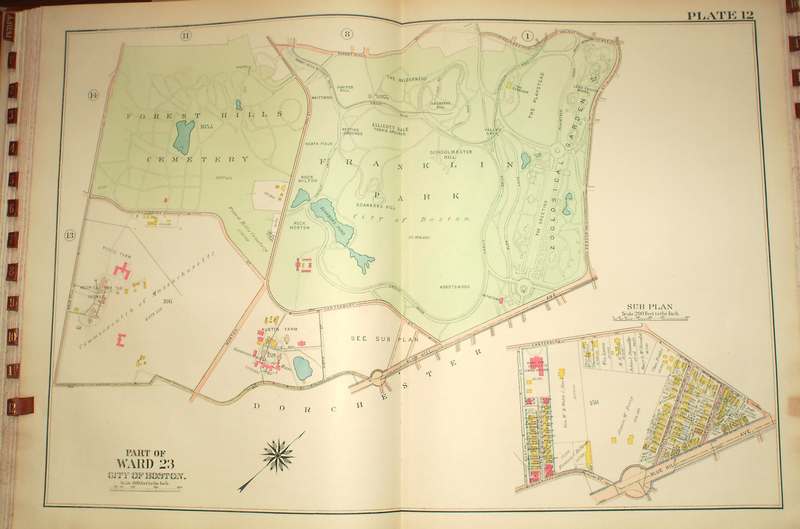 As to Franklin Park, I have given a good deal of study to the revision of walk system South & West of Quarry. Do not set aside or attempt to improve upon what I have arranged West & North of where the cottage is to be against the Rock facing Ellicotdale—the “tennis ground” cottage. East of that (except for a short distance East of the cottage), the walk system must be left undetermined until it is seen what the Quarry excavation will come to. That & the approach & entrance to the Arbor makes desirable a considerable revision of all the original plan of walks from the point of junction (of the walk along the base of Scarboro’ with the walk leading up to the summit of Scarboro’) to the Williams House, & from the Tennis Cottage to the Arbor. All walks to be made through this district for the present should be provisional & cheap. But the walks north of the drive, between Hagbourne Hill & Ellicott Arch should be completed this Fall if possible; including the hillside walk west of the new staircase on Hagbourne Hill, including the seat, under the rock terrace on the top of which the loop road is now being furnished. The last sentence in the paragraph mentions “the seat.” In your experiences with Franklin Park have you come across anything matching Olmsted’s description? Any help you could provide would be much appreciated. Now, as a Professor, I am generally opposed to doing people’s homework for them, but as the research team is in Pennsylvania it seemed appropriate to look into it for them. Of course, it’s also an interesting (and extremely nerdy!) question, which is what I love. A view from below the hill, showing the “hillside path” on the left and the staircase on the right. I had to read the text a few times to make sure I understood what was described in the last sentence. Olmsted’s writings are often hard to interpret, in part because of the antiquated language, and his letters are even more difficult because he writes in an “off the top of his head” way that is very conversational. 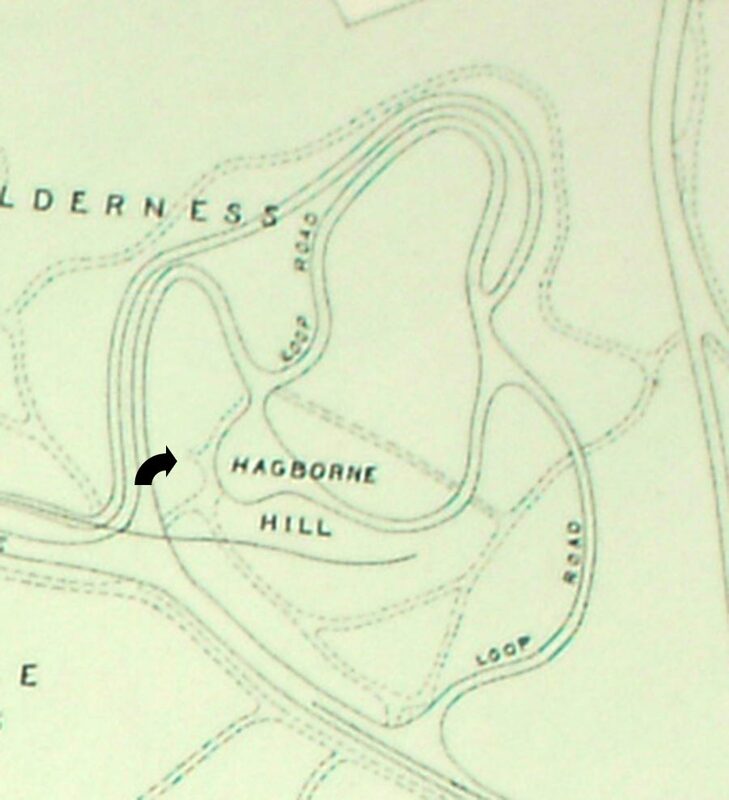 In my first reading, I was confused because the sections of the Park to “be completed this Fall if possible” are described as “the hillside walk west of the new staircase on Hagbourne Hill” and “the seat, under the rock terrace.” Was the seat on the hillside walk? If so, that is confusing because the “hillside walk” does pass near the “terrace” but not in proximity that anyone would describe as “under.” Reading the sentence again, however, I think I understand better what Olmsted is doing: he’s making a list. Since this is a letter, not an edited and published text, he is writing as if he is talking to the recipient, and it has just occurred to him that — since he is on the topic of things to complete “this Fall” — he should just list off all the stuff he wants done. There are only two items on his list, but if you read the word “including” as a bullet-point that starts a new list item, the whole thing makes more sense. the seat, under the rock terrace on the top of which the loop road is now being furnished. Having sorted that out, I just needed to make sure that Olmsted and I were talking about the same things. 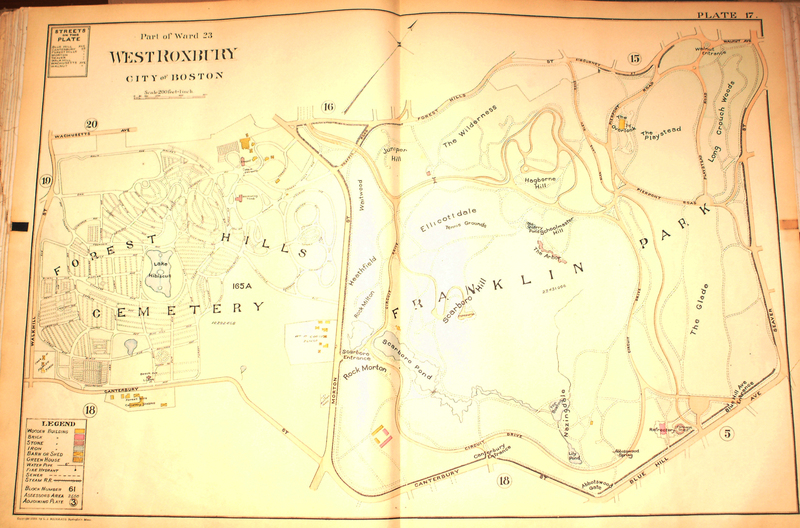 Luckily, there are great maps of the Park available at the Jamaica Plain Historical Society, and all of them are very clear. The “loop road” is clearly labelled “Loop Road,” and along that route there is only one section that could be described as a “rock terrace” and to confirm it I walked the whole Loop Road today. Looking up at the “rock terrace” on Hagbourne Hill. Looking down, I found it right away. A fallen tree hid part of it, but it wasn’t hard to find a small flat rocky area that fits the description in Olmsted’s letter. There was no remnant of any seat, and I kicked aside some dead leaves looking for any remnant of a mount or seating platform, but there is nothing there. Just a flat bit of rock in the exact spot that fits Olmsted’s description, and the maps that span two decades. The flat area behind the fallen tree matches the map and is possibly the site of “the seat” mentioned in Olmsted’s letter. A closer look at the flat area, looking for any sign of a “seat” on this spot. I climbed up to the top of the “rock terrace” and walked around, just to confirm there was no other spot that could fit the description. 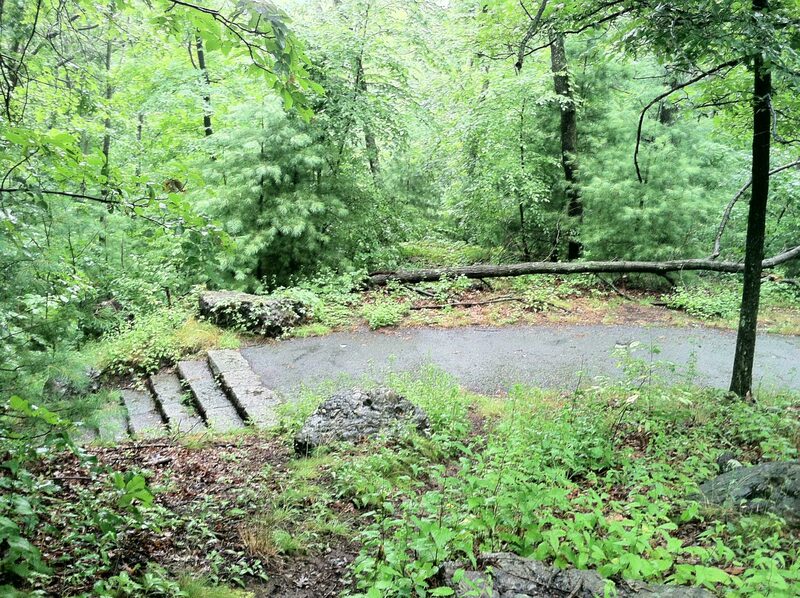 I also took a stroll along the “hillside walk west of the [...] staircase” just in case I was wrong, but I found nothing along that path I would describe as a “seat” — and there is nothing on the maps to indicate where I would have found one if it did exist. Returning to the staircase, I took one last look in the rain and I feel nearly certain that the flat spot I found once held the “seat” mentioned in the letter. Looking down from the top of Hagbourne Hill to the spot where I think “the seat” one sat. Walking through the woods toward the 99 Steps, I wanted to confirm one last thing before returning home. At the top of the 99 Steps is another flat area, similar to the one on Hagbourne Hill, and there are several rocks set out for people to sit on. 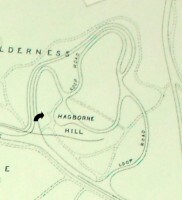 This area is not marked on any map, but I suspect it is very similar to the original Hagbourne “seat.” This is just instinct on my part, but I know Olmsted was designing his Park for Victorian urbanites, and throughout Franklin Park there are resting areas atop staircases and steep climbs — atop Schoolmaster Hill, Scarboro Hill and and the 99 Steps there are “seats” for resting after a long climb. They all look remarkably similar (although better maintained) to the spot on Hagbourne Hill. A view of the seating area on top of the 99 Steps, for comparison. I hope my little bit of research can help Mr. Schlossberg and his team resolve their questions. It’s such a small detail of the Park, but I’m glad someone out there other than me is interested in this minutia. It is important to keep history alive for the future, and while some history is told by great battles, important political decisions or grand gestures, more often it is also told by small details like a park bench. *** Correction: In my description, I indicate that the “seat” is along the lower path, however I should have been clear that it is at the top of the last steps in the staircase. The inset photo above shows this clearly. 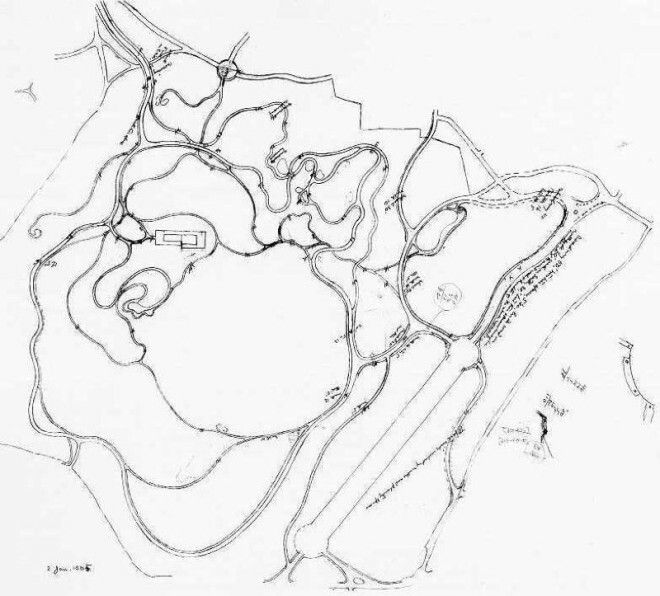 It’s worth noting that this drawing is somewhat different than the final road layout of the Park, so I don’t take anything here as definitive. That said, the drawing clearly shows an area in the exact spot that I described above. 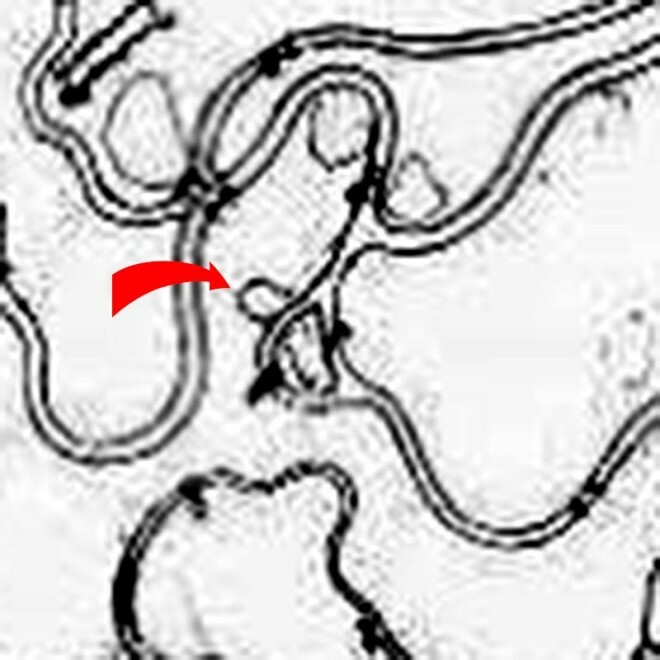 The file is not the best resolution, but if you look at the detail below the arrow marks the spot that I think was for the “seat” Olmsted mentions. 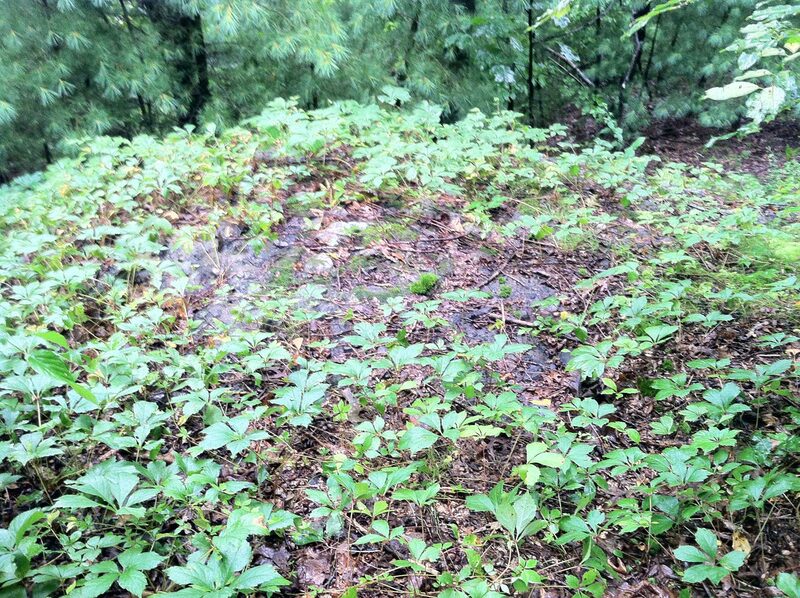 Having visited the spot, I can’t imagine any other use for such a clearing other than a resting spot. 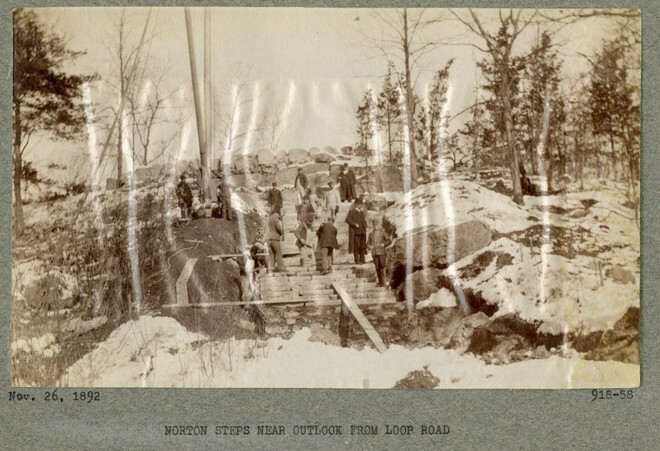 While looking through the Flickr stream of The Olmsted Archives, I found this photo from 1892 of the construction of the Hagbourne Hill section of the Park. The view doesn’t show the area where the “seat” is located, but I thought it was a cool addition to the story. 16 Photographs: Chain NYC Film Festival tomorrow!